A portrait of Harriet Tubman is scheduled to replace that of Andrew Jackson on the front of the U.S. $20 bill in 2020. Sarah H. Bradford, who knew Tubman personally, wrote these scenes from Tubman’s extraordinary life in 1869. 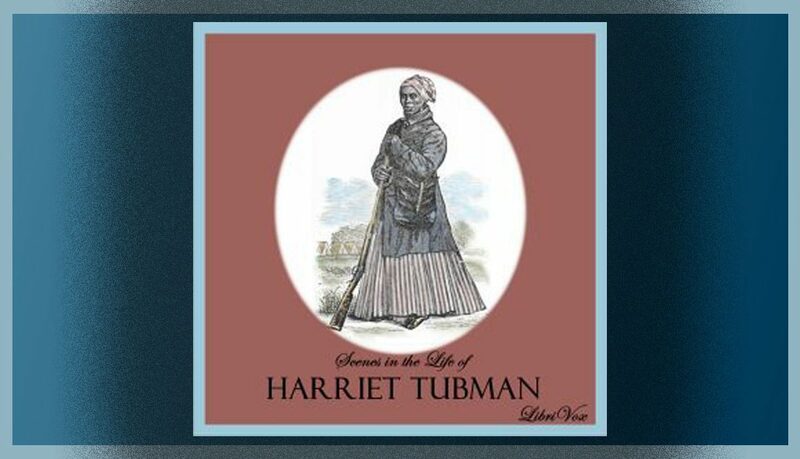 Note from Sue: I have also recorded a one-chapter version of Tubman’s life, “Harriet Tubman, the Moses of her People,” excerpted from Unsung Heroes by Elizabeth Ross Hayes (1921). It is part of the LibriVox Short Nonfiction Collection, Vol. 043. “She hid around among the slaves in their cabins. She whispered to them thrilling stories of the free country, until even women with babies were getting ready to follow her back to the North. After drugging their babies with paregoric and placing them in baskets which they carried on their arms, they set out with “Moses,” as they called her, for the free country. You might also like The History of the Underground Railroad in McDonough County, Illinois.